You don’t need an expensive lighting kit, but you do need good lighting to produce quality video. This can be natural light from a large picture window in front of you and you record your videos early in the morning when this light is at its peak. whether you use natural light or canned lighting, ideally, you want at least “three-point lighting." Three-point lighting means that one light is from overhead; a second light is on you from an upper 45-degree angle to the right, and the third source is coming from an upper 45-degree angle to the left. You need at least three points of light while you record your video, whether you're broadcasting live or producing a piece to be shown at a later time. Do NOT run out and purchase an expensive microphone or mixing board! You must have good sound for a quality video, but it doesn't need to be expensive. I used a microphone that I already had for over a year (and made money with it!) prior to buying a professional mic. Do you need a hand-held microphone? Will you need a pop filter to soften the "p" sounds? Would a lavalier mic work better for live broadcasts? Check Consumer Reports and ask experts for their favorite tools and other recommendations. The microphone and webcam I use for my daily livestreaming videos can be found here. When you produce a video, you are producing it for a particular audience and for a particular purpose. 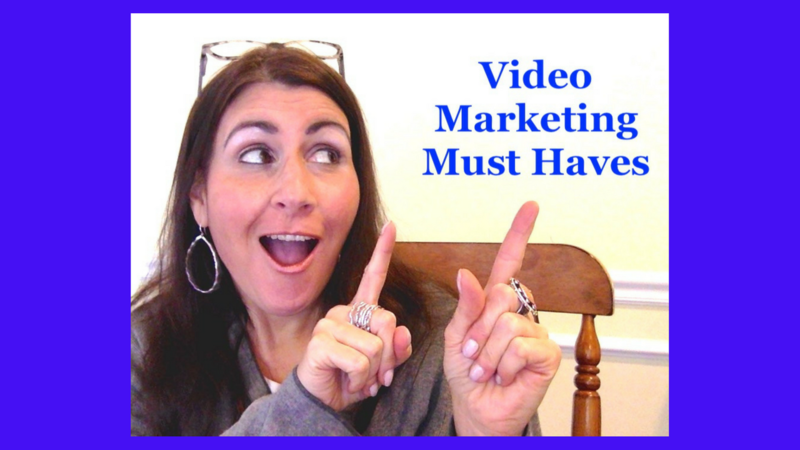 The content in that video must be relevant to your audience! Perhaps you're educating the audience about a new change in your organization, maybe you’re informing them about something happening in the world or you may be promoting an event you have coming up and you want to sell tickets. Regardless of the reason behind the video, the content you share must be of interest to your audience and it must be well planned and communicated effectively.